Ativan (lorazepam) is a prescription medication commonly used for the treatment of anxiety disorders and, more rarely, for the management of insomnia and severe seizures. The drug can be helpful in managing these conditions, but it is also prone to abuse and addiction. Residential or inpatient Ativan recovery centers help users safely detox from Ativan, explore the reasons for their addiction, and learn relapse prevention techniques. Who Answers? . A rehab support advisor can offer treatment options based on your insurance. As a benzodiazepine and central nervous system depressant, Ativan use is associated with a slowing down of certain types of brain activity. When used as directed, Ativan is effective at reducing anxiety and initiating sleep. The intensity and frequency of these effects increases when the substance is used in higher doses or mixed with other substances such as alcohol, cocaine, or opioids like heroin or prescription pain medication. Even though Ativan can effectively treat anxiety and insomnia in the short-term, excessive or long-term use of the drug can result in physiologic dependence and, furthermore, lead to the development of addiction. Many users begin to develop dependence after first being prescribed the medication by physicians or psychiatrists. They may take the drug for longer than prescribed or take more than prescribed. Some users may begin taking the drug without a prescription to fall asleep at night or abuse the drug for its ability to produce relaxation or euphoria. As users grow tolerant to the effects of the drug, they may need to take increasing doses of Ativan to achieve the desired results. Over time, abuse may lead to physical and psychological dependence. Users may experience withdrawal symptoms when they stop using the drug and keep taking it to ward off these symptoms. They may also come to rely on the drug to help them relax or fall asleep, and worry that they will not be able to function without it. Eventually, they may begin to compulsively seek out and use the drug, which is a sign of addiction. Believing that they need to use Ativan to function. Feeling strong urges to use Ativan. Spending a large portion of their time using Ativan, recovering from its effects, and obtaining more of it. Needing higher and higher amounts of the drug to experience similar effects as before or experiencing less of an effect with the same dose. Trying to stop using but being unsuccessful in any attempts to quit. Using Ativan in physically dangerous situations, such as driving a car or operating machinery. Experiencing withdrawal symptoms when Ativan use is stopped or reduced. Neglecting responsibilities at work, home, or school because of Ativan use. Continuing to use Ativan even if it causing or exacerbating interpersonal or physical problems. Spending less time on previously enjoyed activities and hobbies. Who Answers? to speak to an addiction treatment support specialist who can help you figure out the best type of program for you or a loved one. Once a user becomes dependent on Ativan, getting clean and sober can be very difficult. 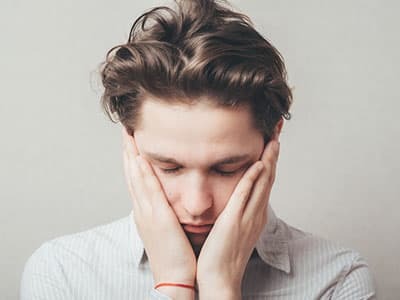 Physical withdrawal symptoms are particularly problematic, as the medication is known to have a rebound effect following cessation of high doses. For this reason, Ativan rehabilitation programs often recommend a slow tapering off of the drug. Therapy is another important element of Ativan recovery programs. Often, addiction to this drug begins as a result of insomnia, depression, or anxiety. When these problems are treated with the help of a qualified medical professional, the person is less likely to feel that he or she needs to return to Ativan use. Therapy often begins while the person is still staying at a residential Ativan recovery center, but it can also continue at an outpatient following successful completion of the residential program. Inpatient or residential Ativan rehab centers offer a drug-free environment where residents can focus on their recovery without outside distractions. Participants live at the treatment center while engaging in detox, therapy, and other activities designed to help them achieve and maintain sobriety. Standard: These programs offer essential services for addiction recovery and, in many cases, include medically supervised detoxification, group and individual therapy, and aftercare planning. Meals and other activities take place in a community setting, and residents often share rooms. Luxury: Luxury programs offer detox, therapy, and aftercare support with added amenities such as swimming, beach access, horseback riding, meditation, or yoga. These programs will usually cost more than standard programs. Executive or CEO: Executive or CEO programs are luxury treatment programs tailored to working professionals. They offer detox, therapy, aftercare support, and holistic treatments in addition to features that help residents maintain contact with their job. Outpatient recovery centers are another treatment option for people who are unable, for any reason, to take time away from their work or home lives. These programs have different levels of intensity, but do not require you to live at the facility. Most programs offer group therapy, and some offer individual therapy as well. Outpatient recovery programs employ similar therapeutic strategies as inpatient or residential treatment centers and tend to cost less; however, outpatient programs do not offer the same immersive level of care as their inpatient counterparts. Someone who may have trouble maintaining sobriety outside of the treatment environment, has a severe addiction, or is additionally struggling with mental health problems should consider an inpatient program. How much does the program cost? Find out what your insurance coverage is and what you can afford. The cost will vary based on how long you stay, whether you need detox and medical care, whether the program is inpatient or outpatient, and what kind of amenities it offers. Where is it located? Location can also impact the cost, and your insurance may not cover programs out-of-state. That said, sometimes people need to remove themselves from their current environments to find sobriety, and the best program for you may not be close to home. How qualified are the staff? Therapists should be licensed and certified in addiction counseling, and physicians should ideally have training in addiction medicine. Also ask yourself whether you feel comfortable with the staff and would trust them with your care. What is the program’s treatment philosophy? Do you prefer a more faith-based, evidence-based, or 12-step approach to treatment? Is the program accredited? An accredited program is more likely to adhere to certain standards of care and quality. Organizations that accredit rehab facilities include The Joint Commission, the Commission on Accreditation of Rehabilitation Facilities (CARF), and the Council on Accreditation (COA). What is the visitation policy? If you want your friends and family to visit, find out if the program allows visitors and how often. Inpatient centers can offer medical assistance and supervision. Some of these symptoms – particularly seizures – can be life-threatening, and someone who is trying to quit cold turkey may be tempted to continue using to make the symptoms stop. Inpatient Ativan recovery centers can monitor the detox process and offer medical assistance and supervision to make the process as safe as possible. A physician may slowly wean you off of Ativan or use a longer-acting benzodiazepine to reduce withdrawal symptoms, which can eventually be discontinued. As mentioned above, the cost of an addiction treatment program will be affected by several factors. Your insurance may provide partial or full coverage, but you may still have some out-of-pocket costs such as co-pays and deductibles. Those who don’t have insurance or whose insurance doesn’t fully cover treatment have other options to finance their care. Payment plans. You can work out a payment plan with the treatment center to pay off the cost over time. Sliding scale. See if the program is flexible on the cost based on what you can afford. Credit cards. Use a credit card to help pay for your care. Try to find a low interest rate and make sure you can pay off the balance relatively quickly. Loans. If you have good credit, take out a loan to help pay for treatment. As with credit cards, try to secure a good interest rate and repayment plan. Borrow from friends and family. See if any of your friends and family are willing to help you out with the cost. Crowdfunding. Set up a fundraising campaign for your treatment on a site such as GoFundMe, IndieGoGo, and Crowdrise. Ativan addiction is a serious condition that requires professional treatment. If you or someone you know is struggling with the abuse of Ativan or another prescription drug, please call us at 1-888-319-2606 Who Answers? for more information on Ativan recovery centers.
. Longo, L.P., & Johnson, B. (2000). Addiction: part I. Benzodiazepines – side effects, abuse risk and alternatives. American Family Physician, 61(7), 2121-2128.
. Food and Drug Administration (FDA). (2007). Ativan Tablets (Rx only).